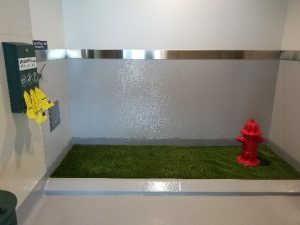 OAK’s new Service Animal Relief Area was designed in partnership with Dogs for Diabetics (D4D), a local organization that pairs medical-alert assistance dogs with insulin-dependent diabetics. D4D’s input and feedback during the design process ensured that the facility was designed to promote a more enjoyable, less stressful travel experience for customers traveling through OAK with service animals. 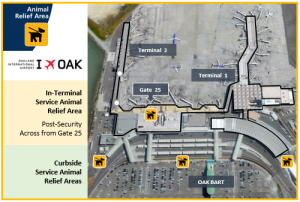 With an approved approximate cost of $665,000, the Service Animal Relief Area was designed by HNTB Corporation and constructed at OAK by Bay Construction, Inc.